Through the past activities in Ledine, we found out that children, teachers and neighbors want open spaces that encourage socializing and learning. That is why, in 2018, we focus on this idea and we create exactly that kind of place in the school yard. In the project of Urban Hub 2, implemented by the Belgrade International Architecture Week through the Shared Cities Platform, supported by our partner Goethe-Institut Belgrad, in cooperation with the Primary School “Vlada Obradović Kameni” we are making intervention in the school yard we call the open-air classroom, which we want to be as it is most needed by the neighborhood. We spent the month of April with our associates imagining the methodology of participatory design of intervention in the school yard. After we shared with our neighbors during a party in the school yard on School Day, the idea of jointly designing an intervention in a school yard, we started the process of participatory design with three target groups: children, neighbors and school staff. 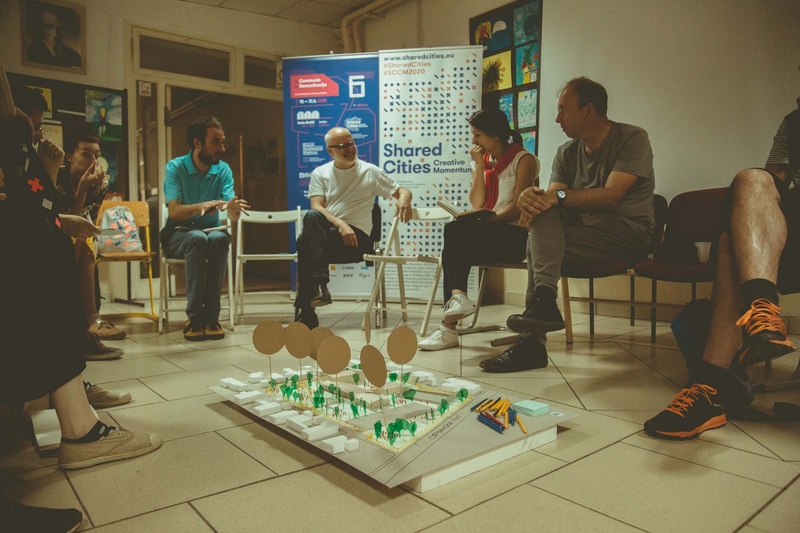 On May 20th, we hosted visitors to the Belgrade International Week of Architecture in Ledine, presented our past work and shared ideas and questions in a workshop atmosphere. After a fruitful discussion, we organized that evening a film screening that we created with children, neighbors and staff, about their needs in relation to the open space of the school. Now we are working on conceptual solutions for interventions and we are looking forward to the construction process. We’ll write soon with more news!